Everyone wants the best for their kids and family. They are our future; a future that we hope will be brighter and better. We feel so down when something bad happens to our loved ones. We will do anything to make them feel special and comfortable. But what about the people who for one reason or another don’t have warmth of home and do not have the privilege of being taken care of by a family and must live on the streets or slums. Winter can be very harsh. Lucky ones like us can have a nice cup of tea or coffee and watch TV with our family. We also have a luxury to get under our blankets and feel warm and comfortable. But many homeless suffer and sometimes die during winter. There are people sleeping on the road sides or under the bridge. Unfortunately there will be many people who will find it hard to provide themselves or their family the required comfort and warmth. 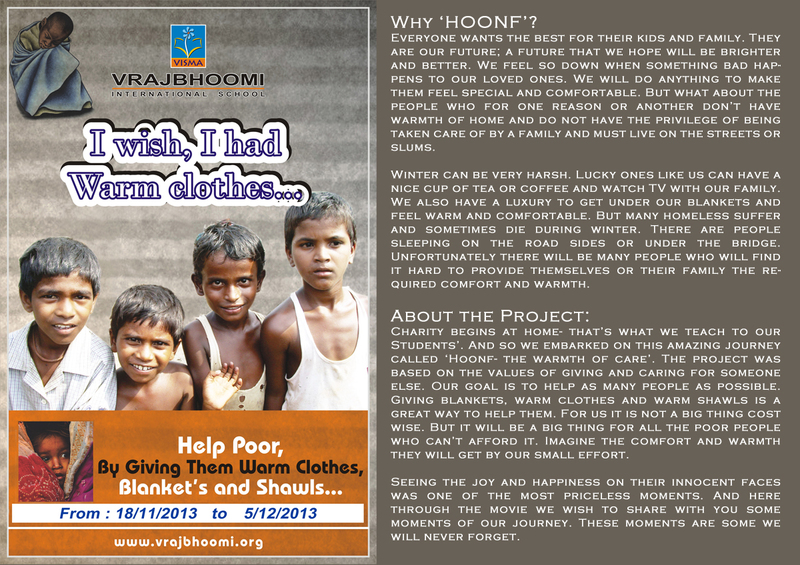 Charity begins at home- that’s what we teach to our Students’. 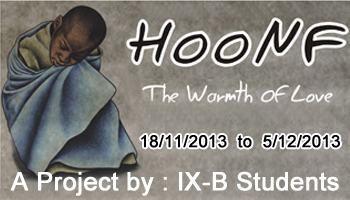 And so we embarked on this amazing journey called ‘Hoonf- the warmth of care’. The project was based on the values of giving and caring for someone else. Our goal is to help as many people as possible. 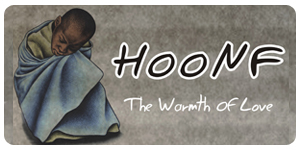 Giving blankets, warm clothes and warm shawls is a great way to help them. For us it is not a big thing cost wise. But it will be a big thing for all the poor people who can’t afford it. 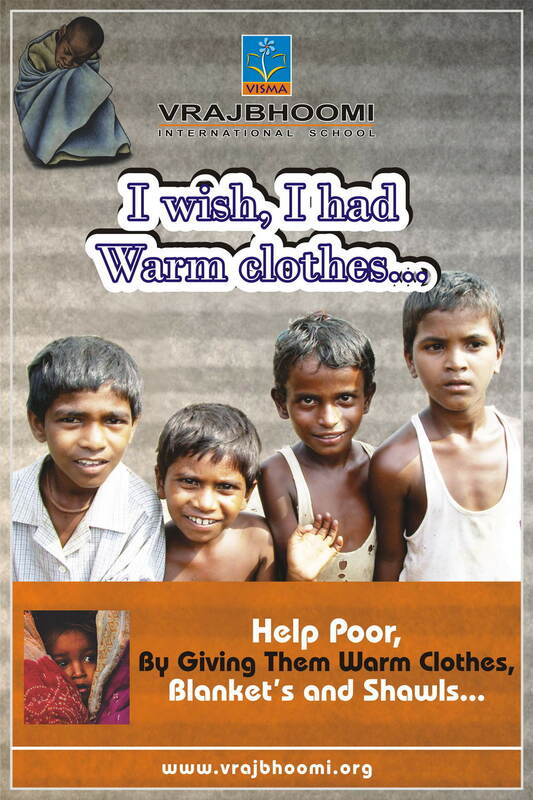 Imagine the comfort and warmth they will get by our small effort. Seeing the joy and happiness on their innocent faces was one of the most priceless moments. And here through the movie we wish to share with you some moments of our journey. These moments are some we will never forget.